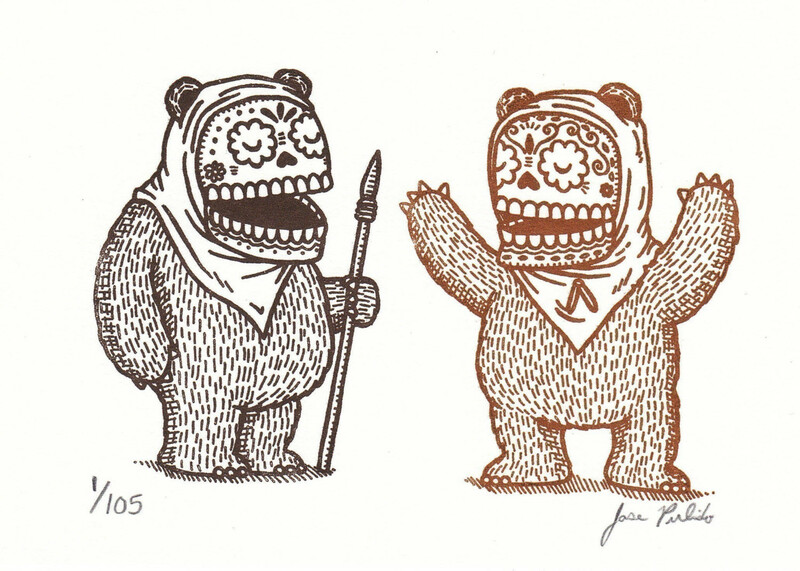 Star Wars: Feel Los Muertos. 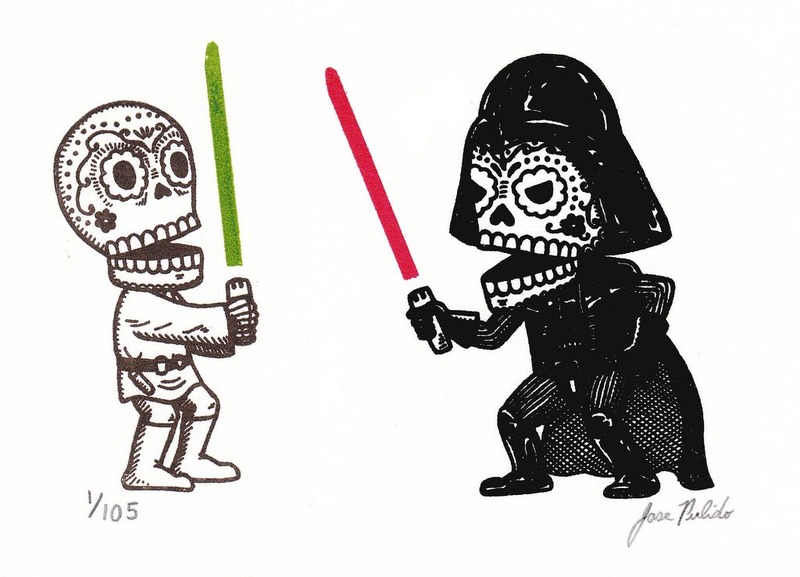 Mis Nopales Art brings us a new representation of arguably the most loved saga of our time: Star Wars. Living in California, José Pulido makes prints of pop culture icons in a traditional Mexican style reminiscent of Dia de Los Muertos. For this and loads more examples (including a Darth Maul, Wolverine and Buddy Holly) haed on over to Etsy.com.